Anyone with a passing interest in high-performance desktop computing can't help but be impressed with the performance of AMD's Ryzen Threadripper CPUs. Offering up to a massive 32 cores and 64 threads in one package, there's simply nothing faster. Yet with considerable power comes considerable power requirements, with the WX chips outfitted with a 250W TDP that quickly escalates to 400W-plus when overclocking to a healthy degree. 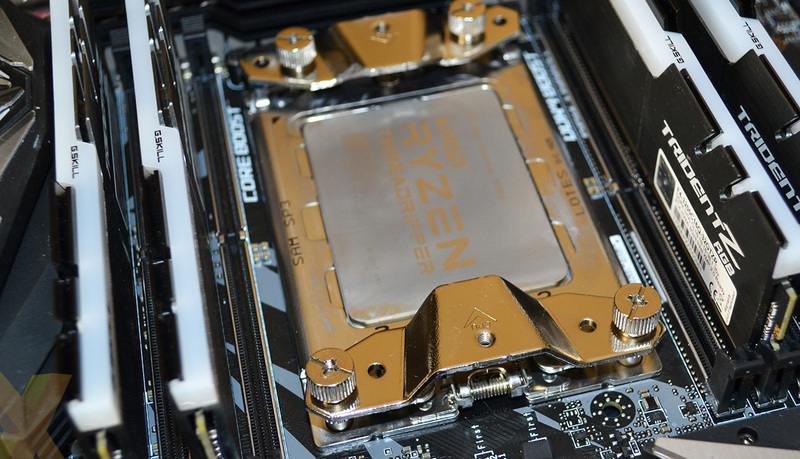 Obtaining decent coolers for the TR4 platform has become easier over time as more companies see the merit in AMD's finest, and most opt for liquid cooling. Makes sense when you have so much to cool. Chinese cooling heavyweight Deepcool has numerous liquid and air coolers in its TR4 arsenal, and today's review focusses on the GamerStorm Fryzen - an RGB-equipped tower heatsink laced with a somewhat unfortunate name. Rated at up to 250W - so good enough for stock-clocked WX chips - the Fryzen is compatible with both regular Ryzen (AM4) and Ryzen Threadripper CPUs. In fact, there's mounting support for older platforms, too, with AM2 and FM1 also covered. Overall dimensions of 124x81.5x164.6mm and 1,067g weight make it large but not excessively so, unlike, say, the Cooler Master Wraith Ripper. 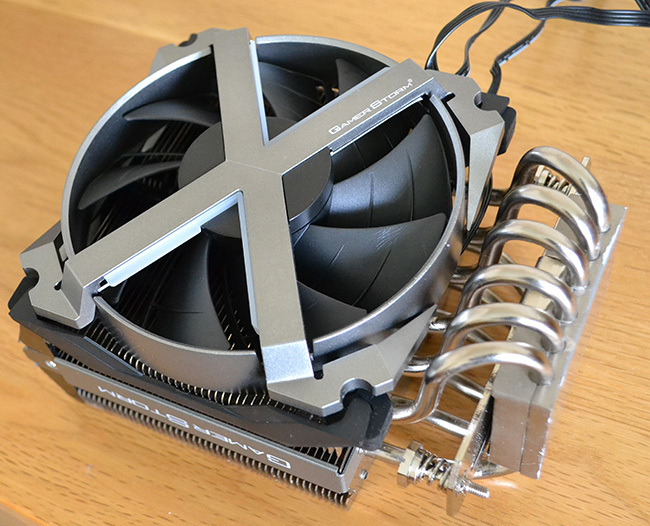 Equipped with six through-the-block heatpipes, the cooler uses an X-framed aluminium fan structure carrying the 120mmx25mm double-bladed spinner. 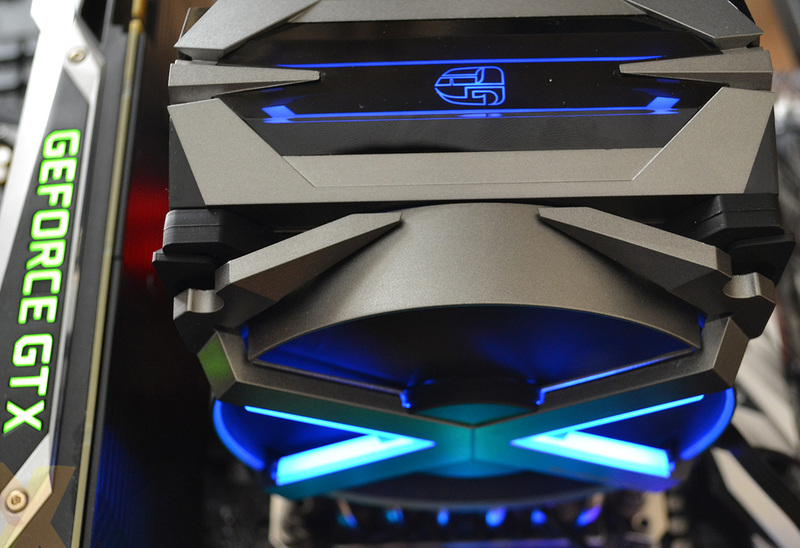 The frame's purpose is two-fold: to lend the design more rigidity and to provide RGB illumination on the front, which we will speak about later. Fan speeds range from 500rpm to 1,800rpm. There's no opportunity of adding a second fan to the mix, unlike some of the competition. The wires you see trailing off are for fan (4-pin) and RGB (dual 3-pin) by way of an in-line three-button controller that connects to a SATA power port from the PSU. You can choose to have RGB control handed over to the motherboard by way of an addressable 5V RGB header connector, too, and Deepcool supports all the major motherboard manufacturers' lighting schemes. A closer look down one side shows the easy-as-pie mounting system and 68x46mm solid block that makes good contact with the TR4 CPU. 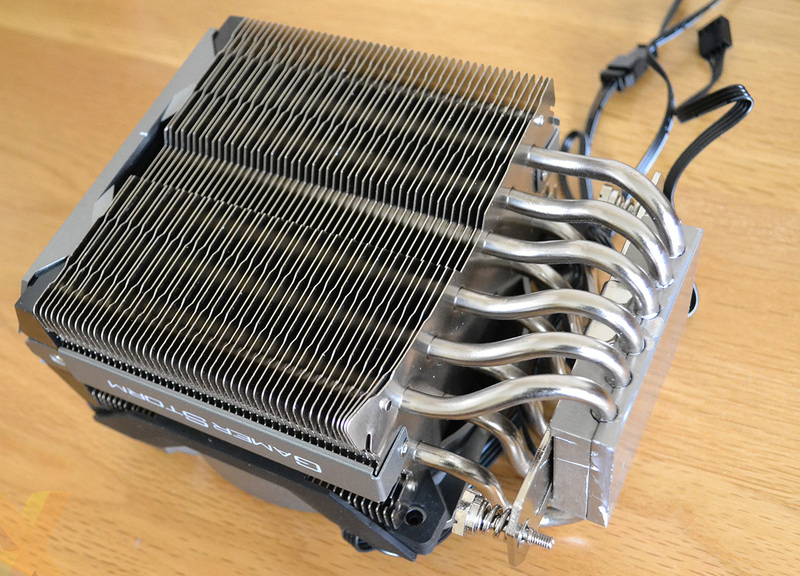 Much like the high-end Intel platform, installing a cooler on AMD's TR4 is a quick, painless affair with the Fryzen. 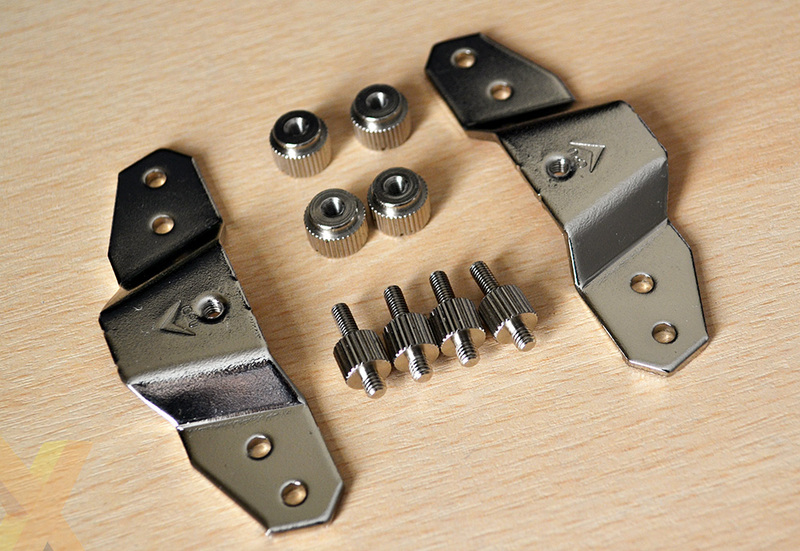 Simply fit the four holding screws, place the two brackets on either side, and then screw the four retainers on top. All that's left is to tighten each side's hexagonal spring-loaded screws into the brackets, done by either the provided wrench or, as we did, by sliding a long screwdriver down each side of the heatsink - there's a sliver of space to allow just this. You ought to be up and running within 10 minutes of opening the box, and the advantage of this slim TR4 cooler is that there remains plenty of space around the socket to install tall memory and large graphics card with ease. Notice the decent gap between cooler and GeForce GTX 1080 Ti graphics card on an MSI X399 Creation motherboard? What you'll also notice is the top acrylic section that hides some more RGB lighting. It keeps in sync with the fan section and can be set to one of five modes (dynamic, static, breathing, comet, and fashion collision) and, if you keep pressing the in-line remote's buttons, to one of 36 lighting modes. 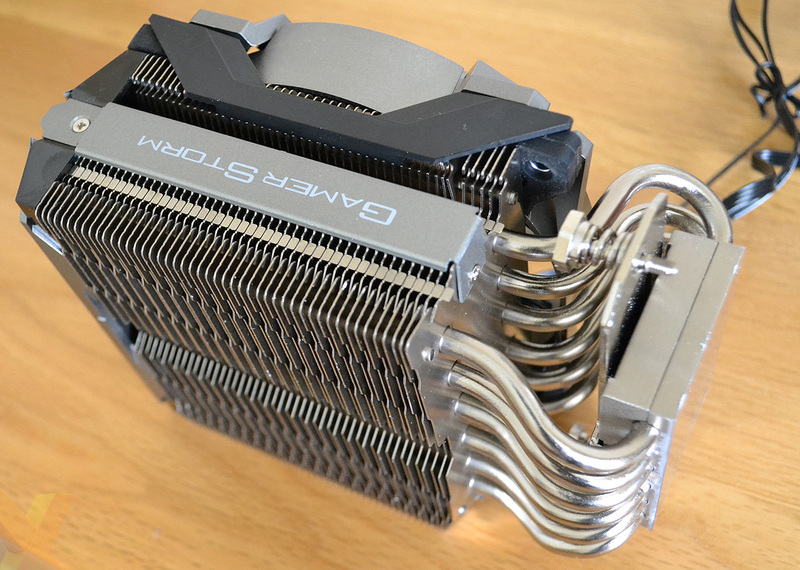 Deepcool has historically offered better value than most of the competition with its range of coolers. 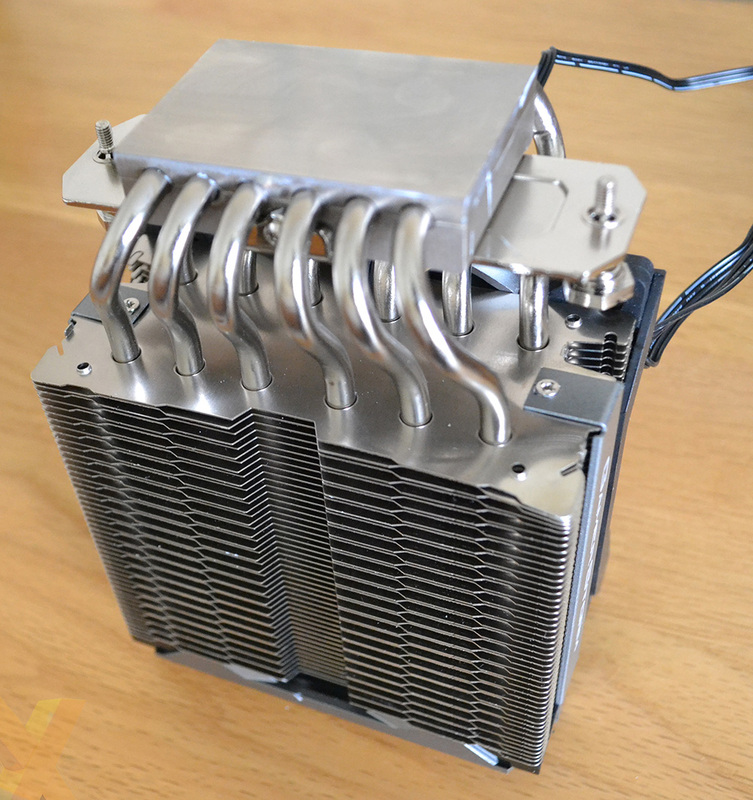 The Fryzen retails for about £90 in the UK, bucking that value trend and bringing reasonable AIO coolers into play. We'd therefore expected more than a single tube of thermal material, as supplied in the package, which is largely used in the initial application. Very easy to install, looking good and taking up less space than many, let's now see how it performs.